We strive to serve those in need without prejudice; all are welcome. Chalmers Community Services Centre offers a number of services at two different locations which offer food, clothing and connection. Program descriptions can be found below the descriptions of our two locations. Thursday mornings 9 am to 12 pm: open for our morning café, to enjoy coffee and conversation. 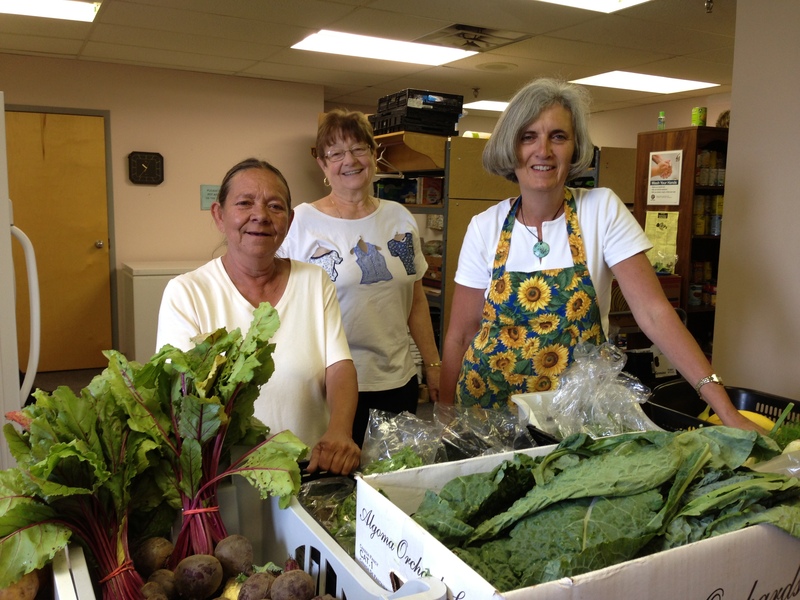 In the food pantry, we provide each guest with 3 days’ worth of nutritious food. Guests may visit the food pantry every other week. We recognize that people have different preferences and needs, so we offer choice and variety. Diapers and toiletries are also available. 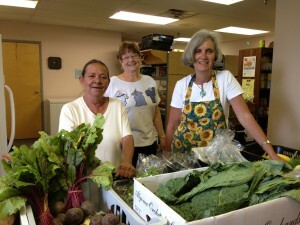 Click here to see a list of what is in a typical “grocery basket” at CCSC. If you would like to support this program, we appreciate donations of food, diapers, toiletries or money. In our clothing & household goods area, we offer a selection of gently used clothing and household items, including bedding, towels and kitchen items. Guests may choose up to 4 items each week. We also offer mending during all three pantry times. If you would like to support this program, we appreciate donations of gently used clothing and household items. We hold morning cafés each week on Monday and Tuesday, and at both of our locations during pantry times. Guests can join us for coffee, snacks and conversation. If you are interested in supporting this program, we appreciate donations of coffee, juice, purchased snacks and treats, bulk oatmeal (not individual packets), paper cups, stir sticks and serviettes. Four times each year, in March, June, September and December, we offer a new toothbrush and either toothpaste or floss in the food pantry. If you would like to support this program, we appreciate donations of new toothbrushes, toothpaste and floss. Each year, CCSC gives out Christmas Gift Bags in the two weeks before Christmas. Every adult receives a bag and for some, this is the only gift they receive. Each bag contains a few essentials and a few treats. To make this program possible, we seek out individuals and businesses to put together gift bags. If you are interested in supporting this program, please click here for a list of items to be included in each bag. We begin accepting donations for this program in October. For more information, contact volunteer@chalmerscentre.ca. Our staff is well-versed in the supports available in our community. We are available to chat with our guests to ensure they find the help they need. CCSC is partnering with The County of Wellington, Circles Guelph Wellington and Meridian Credit Union to offer a new micro-financing program. Details are under development, but you can learn about the inspiration for the project in our Guelph Today article. “ ” Thank you so much, Chalmers! You've really made me feel like I'm part of a community!